Presentation: Tweet"Conference Party with Meta-eX"
Thursday evening 18:00 all participants and speakers are invited to the Conference Party with drinks and snacks. This is an excellent opportunity to mingle with speakers and network with other conference attendees. 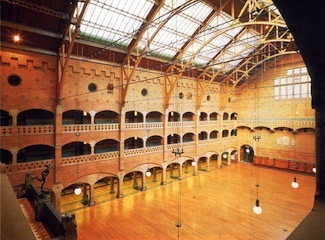 The event takes place at "The Grote Zaal" in the conference venue Beurs van Berlage. Live Coding. Live Synths. Live Music. Meta-eX is a live coding duo: improvising with code to weave immutable data structures into ephemeral sounds. As they riff with their code, projected live in front of their audience, the system responds instantly to their whim. 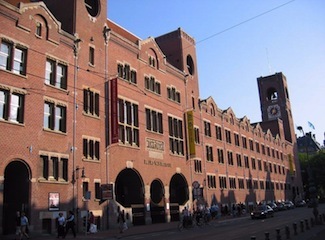 Formed by Sam Aaron, who is speaking at GOTO Amsterdam, and Jonathan Graham, Meta-eX don't relying on pre-recorded material. They define, evaluate and manipulate their code live. This gives them an immense level of control and power to perform. From intimate ambient sets to pulsating club nights, Meta-eX opens a new future for live electronic music. If you'd like to know more about Meta-eX, read their Imperica inverview here.